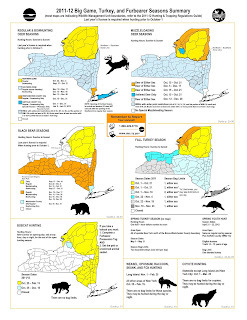 Just a reminder when spring Turkey hunting season starts in the northern Adirondacks. This type of hunting season does not have the intensity of Big Game season, that takes place in the fall. Spring Turkey Youth Hunt is April 21-23, 2012 eligible to youth 12-15 years of age. Even though my family does not hunt, I always feel it is a good idea to know who I am sharing the woods with. Have a wonderful, active time! Other small game seasons: (Squirrel and cottontail rabbit) open on October 1 but some WMU’s open earlier than others. 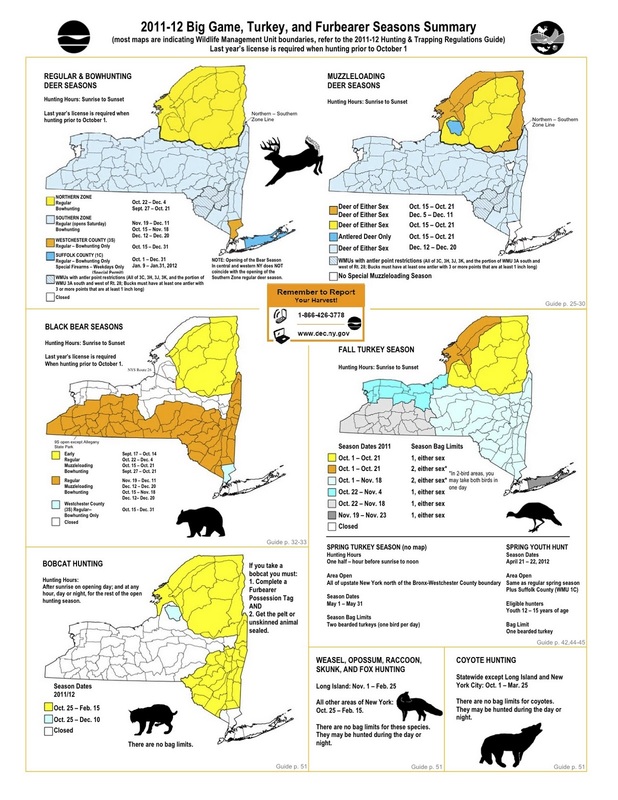 The same goes for Grouse hunting which starts as early as September 20 in parts of the Adirondacks. Waterfowl seasons vary by region and a separate stamp is needed to hunt waterfowl. Most predator seasons open in late October These dates are based on DEC’s synopsis. They are subject to change and regional restrictions may apply. Southern Zone: Regular/ Rifle Season runs from Nov. 21 - Dec. 13 and is preceded by an archery season that runs from Oct. 17 - Nov. 20. Late Black Powder and Archery seasons are Dec. 14-22.